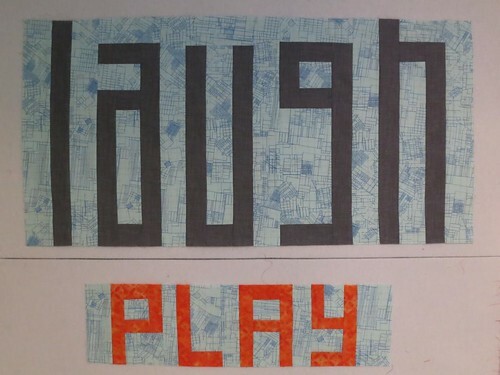 My next quilt is a word quilt, done in shades of blue, gray, and orange and filled with happy thoughts. For the back, I'm planning on enlarging a single block. This one to be exact. It's going to be lovely (and large, I'm thinking 100" x 100").